The temptation often arises at the shop to experiment with a multitude of color arrangements that have not been implemented on past builds. 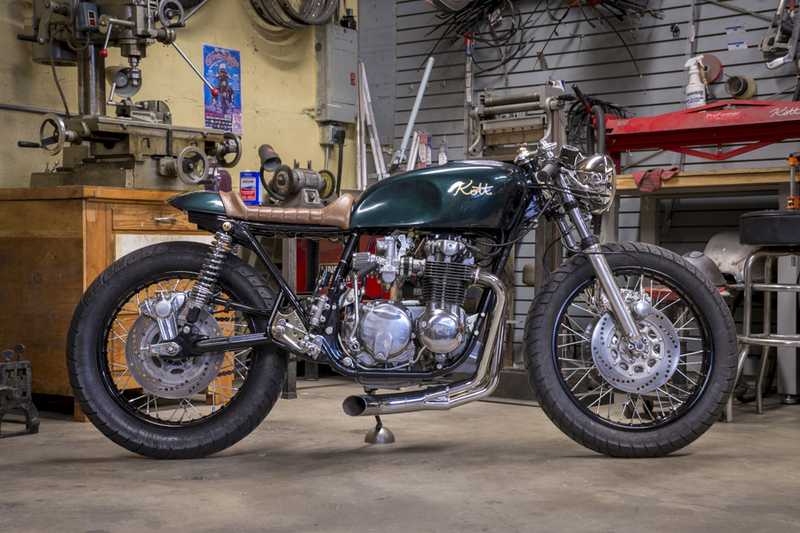 As a dedication to never duplicating any past builds, this bike forced us to delve into a new direction for finish options. The Brit racing green inspiration for the build was an obvious go to once the bike started to take shape. The next obvious choice was the use of subtle brass highlights and tan leather to give the bike a prestigious character. The handling on this 550 was considered with the implementation of a three rotor braking design. 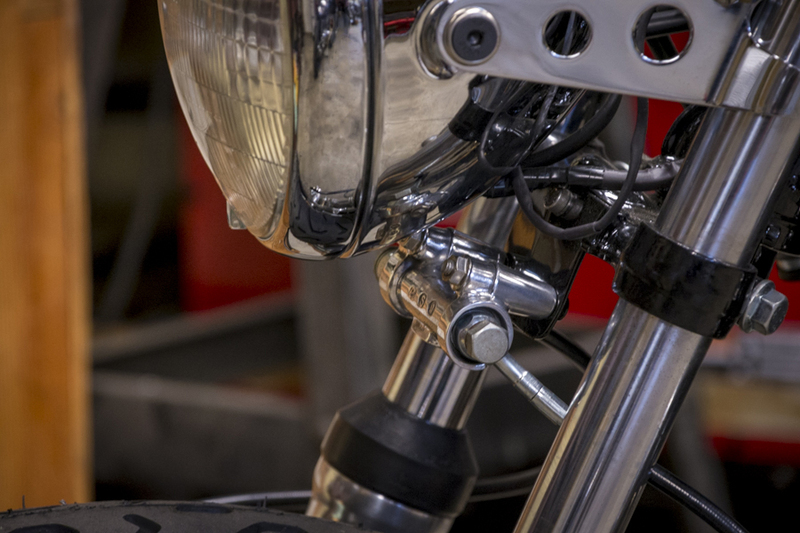 One can see the sanitary arrangement and tight clearances of the rear master cylinder and remote reservoir used to make the modification possible. 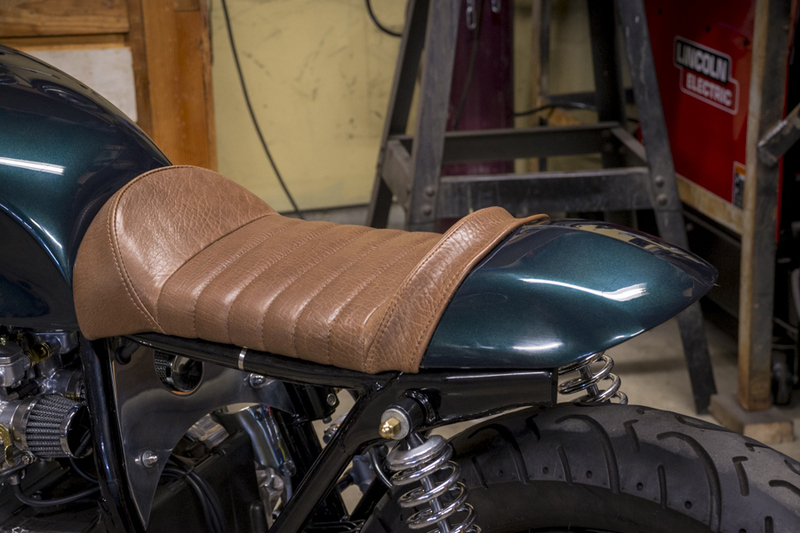 The fullness of the super sport 550 fuel tank continues to prove itself as a viable and versatile tank option to define the prominent stance of any custom build. 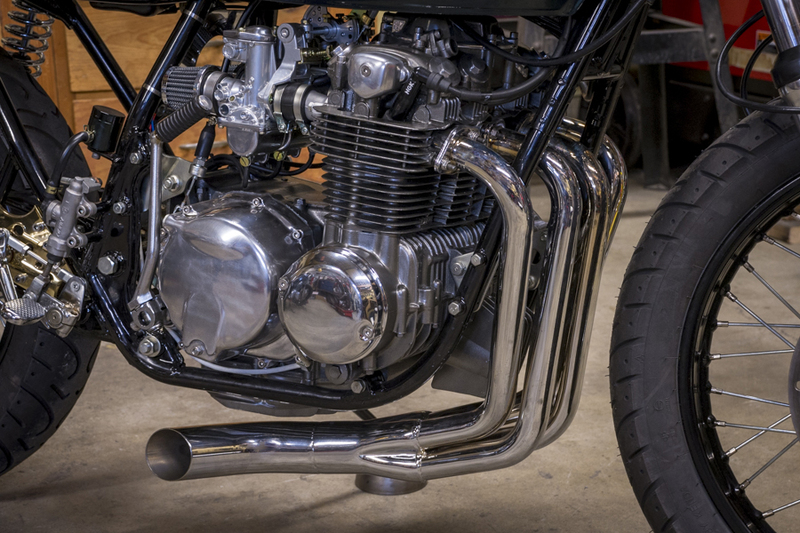 Our proprietary rearset design fits snugly and effortlessly in the SS frame rail arrangement and the slash cut pipe gave a look and exhaust tone that is succinct and original. All in all this machine became a nimble and responsive motorcycle that is a thrill to ride!